With the hit film never having had a mainstream cinema release in the UK, although it made it to Edinburgh Film Festival in 2014, it's good news for us that Netflix has now boarded all-new futuristic action thriller Snowpiercer. Through a deal with ITV Studios Global Entertainment, Netflix will premiere the series co-produced by Tomorrow Studios and Studio T to its members globally outside of the U.S. and China in 2019. 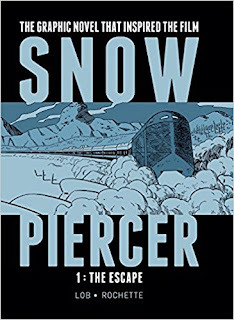 The series is based on the film (which was based on the French graphic novel Le Transperceneige) and, set seven years after the world has become a frozen wasteland, Snowpiercer centres on the remnants of humanity, who inhabit a gigantic, perpetually-moving train, the eponymous Snowpiercer, that circles the globe. Class warfare, social injustice and the politics of survival are questioned in this riveting television adaptation. The series stars Jennifer Connelly and Daveed Diggs alongside Alison Wright, Mickey Sumner, Katie McGuinness, Susan Park, Lena Hall, Annalise Basso, Sam Otto, Sheila Vand, Roberto Urbina and Sasha Frolova. Award-winning writer and producer Graeme Manson (Orphan Black) is the showrunner and also serves as executive producer along with Scott Derrickson, Matthew O’Connor and the original film's Bong Joon Ho, Park Chan-wook, Lee Tae-hun and Dooho Choi. James Hawes will serve as director and co-executive producer. 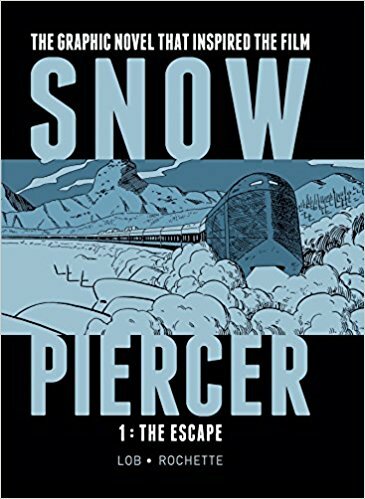 Snowpiercer is a co-production of Tomorrow Studios, a partnership between Marty Adelstein and ITV Studios, and Turner's Studio T. The series is executive produced by Tomorrow Studios' Marty Adelstein(Aquarius, Prison Break, Teen Wolf) and Becky Clements (Good Behavior, Aquarius, Last Man Standing).